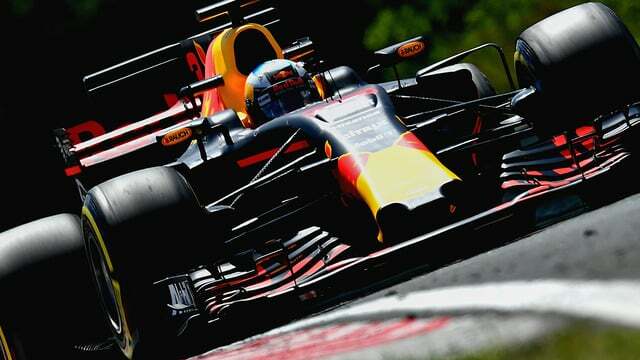 Daniel Ricciardo led both Friday practice sessions for Red Bull in Hungary, but Mercedes and Ferrari were never too far behind, giving hopes that this weekend’s race might see three teams battling for the win. It was a scrappy day for some, however, with several crashes. Celis Jr and Giovinazzi were taking their Friday driver opportunities, but Giovinazzi managed to crash into the barriers. Romain Grosjean also crashed, making it a doubly bad start for Haas. Jolyon Palmer’s front wing fell to pieces after he bounced over the kerbs a bit too hard in FP1, and then in FP2, he bashed into the tyre barriers to compound another bad day at the office. Pascal Wehrlein also collided with the barriers, whilst Kimi Räikkönen pulled off track complaining of lost power. The team appeared to reboot the system and after a moment or two, the Finn was back up and running again. Ricciardo was fastest in the morning, with Räikkönen and Hamilton behind him. In the afternoon, he was trailed by Vettel and Bottas, with the gap down to just a couple of tenths.